It’s September and we have MUCH to celebrate! 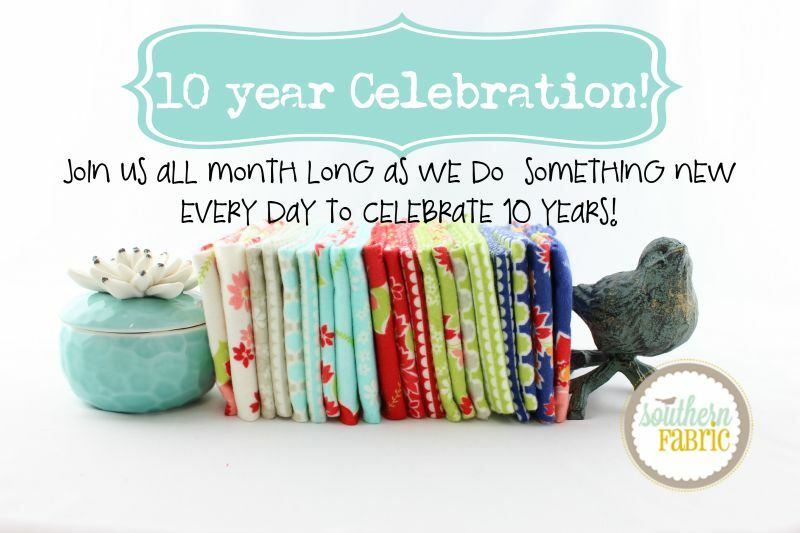 We have reached 10 years of Southern Fabric thanks to all of you, our wonderful customers! We are so excited that we want to celebrate all September long, every. single. day! Make sure to check in with us daily to find out what new deal we have in store for you. You can make sure you get all the info by following us on Facebook, Instagram, Twitter,Pinterest and our Newsletter!